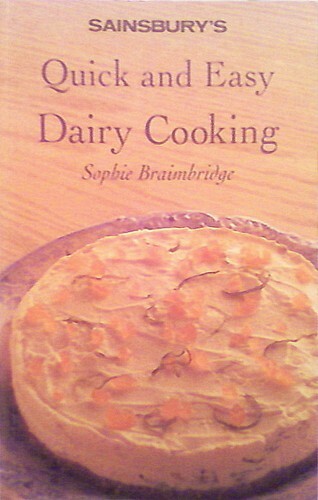 Sophie Braimbridge's collection of dairy recipes brings together some delectable new dishes. Dairy needn't mean rich foods or extra calories, and some of Sophie's recipes are wonderfully light and fresh tasting - try the Elderflower Gooseberry Fool or Marinated Monkfsh Kebabs grilled with Fromage Frais. But if you love cream, cheese and good butter you'll find plenty here to indulge your pasion with dishes such as Creamy Smoked Haddock Chowder with Saffron and Baked Polenta with Five Cheeses.